Quilting Adventures: Stuffed.... but content.....! I do hope that those who celebrate Thanksgiving had a wonderful time. This year I decided to let someone else handle Fibre Junction and celebrated Thanksgiving with Stephen's family. On the following day, it is customary for us to do something as a group. Richard, our host, decided that we would walk around New York City. 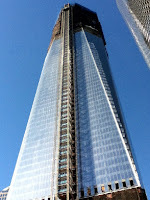 More specifically, we visited the World Trade center. Look at that majestic tower! It is the Freedom Tower! There are still quite a few stories to be added! I have been told that it will be taller than the original towers. Quite impressive, don't you think? This is "us" along the waterway, Battery Park. We all had a wonderful time visiting. I love New York City! Although I enjoy living in the country, I do miss the city! Thank you for visiting with me. Keep well everyone! Cheers! It sounds like you had a wonderful time and there is nothing better than spending it with family. I love NYC too!!! It sounds like a wonderful trip. 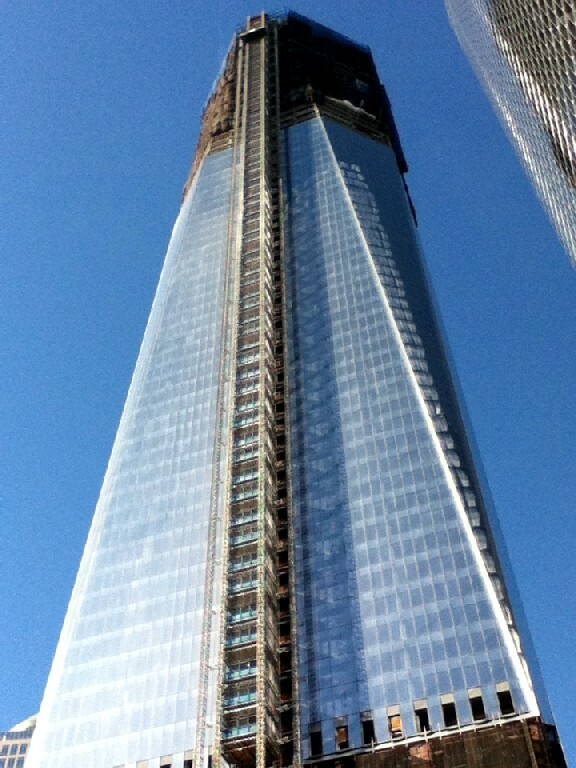 The Freedom Tower looks amazing. What a terrific group and trip, memories to last a lifetime. Happy Thanksgiving, Carole! Wow -- what a group! You lucky girl -- I'd love to get a trip to NYC -- and I'll bet the weather was beautiful on Friday. And the tower! Last time I was there it was still a big hole in the ground -- it looks beautiful! 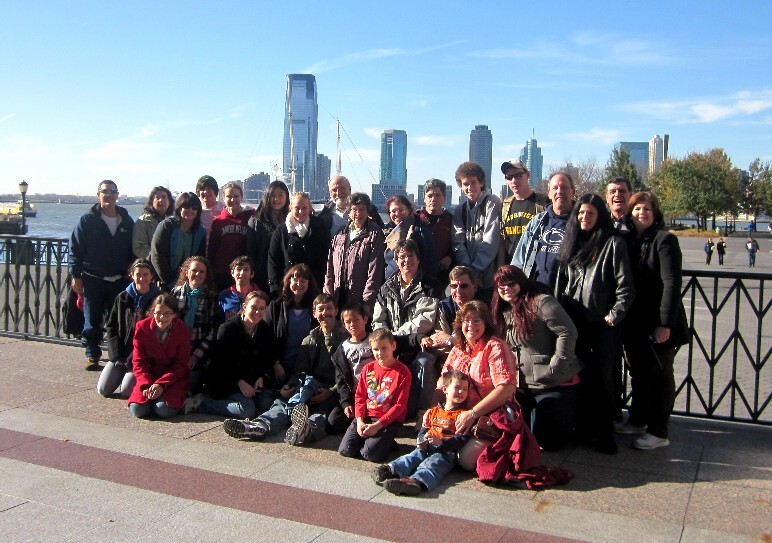 The Big Apple for Thanksgiving - what fun!